When you start out reading tarot cards, the first thing you need to do is get a set of cards. There are about 700 different types of cards out there. You need to make sure your comfortable with the set you have. You can buy your cards online or any bookstore should carry them. Then after you have selected your cards and you get them home you need to cleanse them. There are different ways to do this; one way is by putting them in the sun for a couple of hours. Another way is by wrapping them in a linen cloth or putting them in a box. This takes the negative energy away from them. Some psychics will sleep with them close to their pillow or close to their heart before they ever start reading from them. When you start reading tarot cards you need to pick out your cards, lay them out, look at them, and pick out words that describe them. You will want to learn the different meanings for the cards. It is also good to look at the pictures and come up with the words to interrupt the pictures. Look at the cards as if trying to make a story pattern out of them. If you are reading them for yourself you need to take at look at what is going on in your life, then look at the cards, and see what the card is alluding to see how it fits your life. Look for a pattern that offers a different end then the first one that you got and then see how you can make it better and then use the words that you picked out to go along with the cards. When you are reading tarot cards the first thing you need to do is shuffle the cards up and try different tarot layouts. What layout or spread that you choose will depend on the questions you are asking and what type of reading it is. It is important to point out that the cards can be interpreted differently by different people. Start turning the cards over one at a time, look at the picture, and find out how it relates to that your life or the individual's life right now. Keep turning the cards over, putting a story together, and try to put a better spin per say on it. 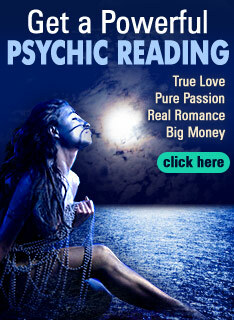 There are many books out there on reading tarot cards or you can go find lots of information on the internet. There are even websites that offer online classes. All you have to do is study. Some people learn to read tarot as a profession and others do it just for the fun of it. Your reasons will determine which way you are reading tarot cards, however, you want to make sure you are having fun. Tarot cards should bring happiness and peace to your life, if you use the information you find to implement positive change.